Kasiks dog and cat canned diets have a unique texture. They are softer and juicier than a traditional pate. They are described by users in many ways: “collapsible pate”, “wet pate”, and the crowd favorite, “silky pate”. The reason our canned products are soft and tender is due to the complete lack of thickening agents such as: Carrageenan, Agar-Agar, Guar Gum, Xanthum Gum, Cassia Gum, Locust Bean Gum, etc. All of our canned diets are complete and balanced and may be fed as a stand-alone diet. Our products can also be used as a topper for kibble, encouragement for taking medication, and for maximum excitement, frozen in a chew toy! 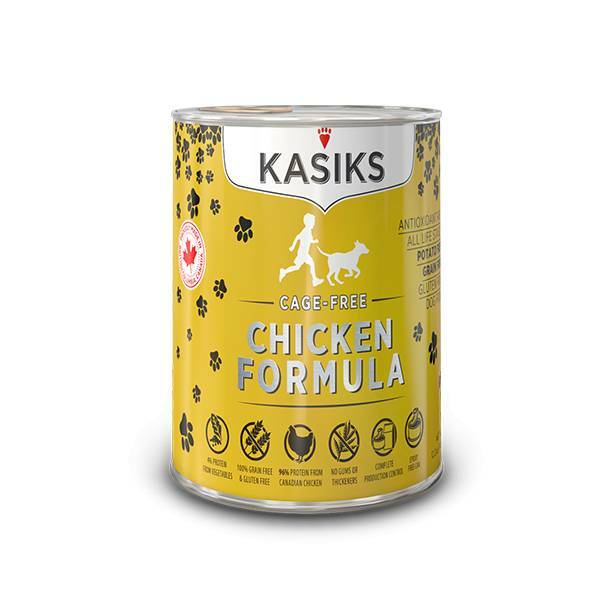 Ingredients: Boneless Chicken, Water sufficient for processing, Pea Starch, Sodium Chloride, Calcium Carbonate, Dicalcium Phosphate, Potassium Chloride, Choline Chloride, Taurine, Kale, Minerals: (Zinc Proteinate, Iron Proteinate, Copper Proteinate, Manganese Proteinate, Calcium Iodate), Vitamins: (Vitamin E Supplement, Niacin, Vitamin A Supplement, Thiamine Mononitrate, Riboflavin, Biotin, Vitamin B12 Supplement, D-Pantothenic Acid, Folic Acid, Vitamin D3 Supplement), Blueberries, Raspberries, Cranberries, Coconut. 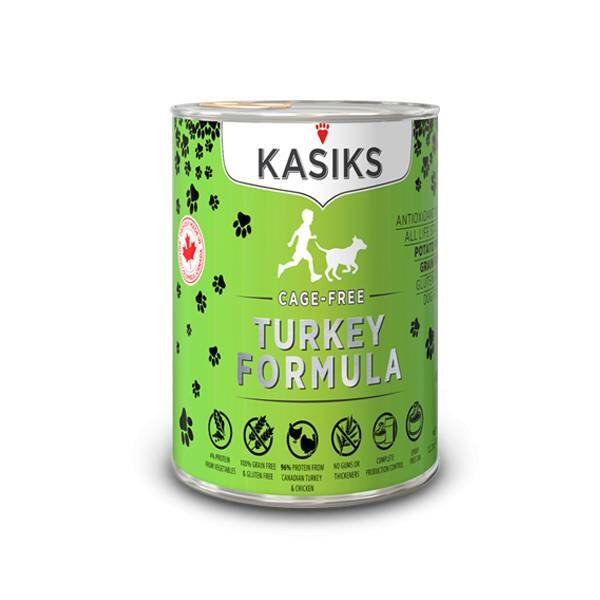 Ingredients: Boneless Turkey, Water sufficient for processing, Pea Starch, Chicken Liver, Sodium Chloride, Calcium Carbonate, Dicalcium Phosphate, Potassium Chloride, Choline Chloride, Taurine, Kale, Minerals: (Zinc Proteinate, Iron Proteinate, Copper Proteinate, Manganese Proteinate, Calcium Iodate), Vitamins: (Vitamin E Supplement, Niacin, Vitamin A Supplement, Thiamine Mononitrate, Riboflavin, Biotin, Vitamin B12 Supplement, D-Pantothenic Acid, Folic Acid, Vitamin D3 Supplement), Blueberries, Raspberries, Cranberries, Coconut. 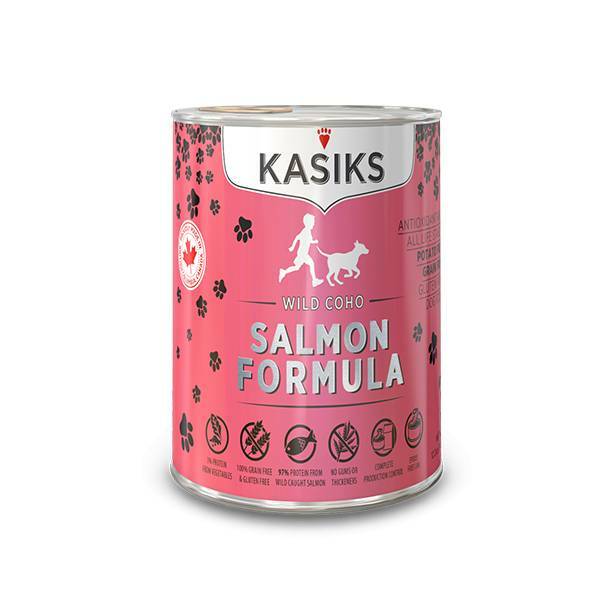 Ingredients: Boneless/Skinless Salmon, Water sufficient for processing, Pea Starch, Sodium Chloride, Calcium Carbonate, Dicalcium Phosphate, Potassium Chloride, Choline Chloride, Taurine, Kale, Minerals: (Zinc Proteinate, Iron Proteinate, Copper Proteinate, Manganese Proteinate, Calcium Iodate), Vitamins: (Vitamin E Supplement, Niacin, Vitamin A Supplement, Thiamine Mononitrate, Riboflavin, Biotin, Vitamin B12 Supplement, D-Pantothenic Acid, Folic Acid, Vitamin D3 Supplement), Blueberries, Raspberries Cranberries, Coconut.